For the past ten years the SWATCH FREERIDE WORLD TOUR (FWT) has assembled the greatest ski and snowboard freeriders on the planet for a five-stop worldwide tour. In 2019, 50 athletes will compete on the most stunning competion venues in the world. These top riders travel the world in an effort to qulify for the legendary Xtreme Verbier - the iconic grand finale to the 2019 season. 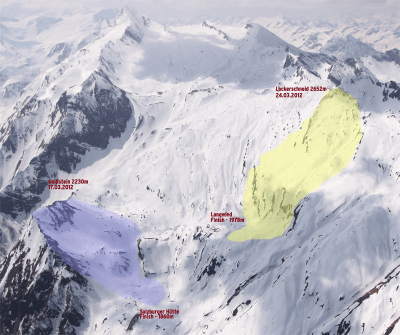 At the end of the first three European stops in France, Andorry and Austria, a first selection of riders is made to determine which riders will advance to the eagerly anticipated fourth stop in Haines, Alaska - a freeriders dream destination. After Haines, a second cut is made, eliminating all but the very top athletes in each category, and advancing them to the world championships in Verbier, Switzerland. Through the Freeride World Qaulifier Tour (FWQ) every year, the top 3 Skiers and the top 2 Snowboarders of this ranking qualify for the extemly selective starting field of the Freeride World Tour. The FWQ Tour Events are categorised in 1 star to 4 star events. The higher the category, the more points the riders get awarded for the ranking. The X OVER RIDE 2019, will be held as a 3 star event for the eight time after it's premier in 2012. Since there are more and more 1 star and 2 star events, were are not going to hold a separate FWQ 1 star event the day before, as we did in the 2012 and 2013. Click the image to view in large.